Grocery Shopping Can Take Years Off – Run. Ride. Roam. What a wild night! The wind and rain didn’t let up and pounded the roof and windows and was still going as light began to spread across the sky. Possibly a day for an indoor activity, despite our new found Britishishness, that sees us embrace the great outdoors no matter the conditions, something we find character building! However, with wild weather, trees down and flooding, today was probably best spent in a sheltered locale. 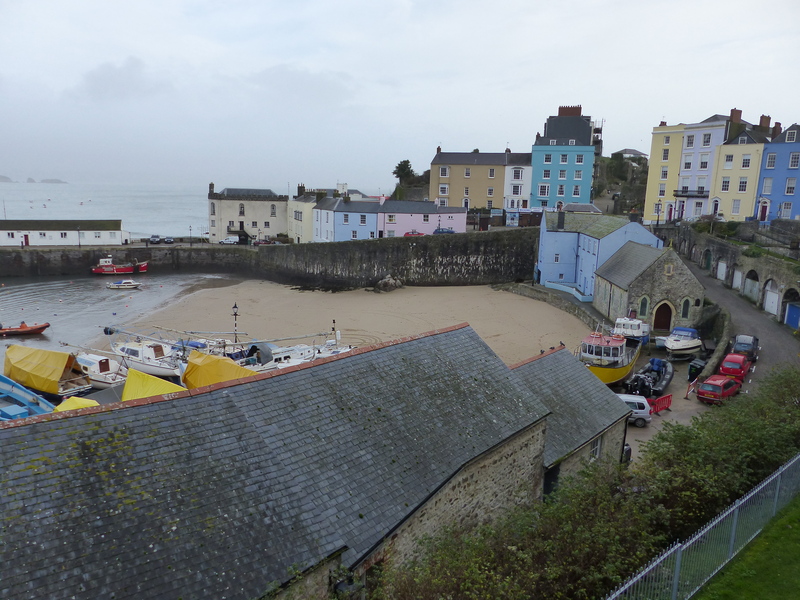 We set off towards the south coast, headed for Tenby, where we thought we’d have a look at this seaside town and visit another National Trust property, our indoor activity of choice. As we blew along the highway in the wild wind, we entertained ourselves with each other’s accompaniment to our newly created “mix tape”, or in more modern terms, “playlist”. Before we left yesterday, Steve began compiling a playlist for driving, with each of us taking turns to suggest a song to add to the compilation. I suggested the “veto” rule, because there are some artists I just couldn’t cope with if I was forced to listen to them in a confined space with no means of escape. Some of the suggested songs came close to the veto, but in the end, all our suggestions made it onto the list, which left us with a somewhat eclectic album ranging from Robbie Williams and Suzanne Vega to Credence Clearwater and Queen. The entertainment began early, while the playlist was being created and Steve began dancing in the hotel room. “Please don’t ever do that in public,” I suggested as gently as I could. Now, I’m no dancer myself, but Steve’s style was something like Forrest Gump. That full body bouncing up and down with hands that sort of fist-pumped side to side at waist level. It was all done with a smile of sheer enjoyment, so all was good…just possibly not for public viewing! The new driving playlist did its job as we hurtled along the roads of Wales and while Steve exercised his range by shouting some Jimmy Barnes, followed by an attempt at Billy Joel falsetto, I head-bobbed to Sweet Home Alabama and hand-danced to Baby Animals. In the confines of the van, it didn’t matter that we looked like pillocks and sounded like drowning cats, it was all in good fun. As the music blared, we’d shout snippets of conversation at each other, drowning out Adele or R.E.M., in our attempts to hear and be heard. Wales flew by, with the two tuneless Tasmanians enjoying every mile of the unfolding scenery. 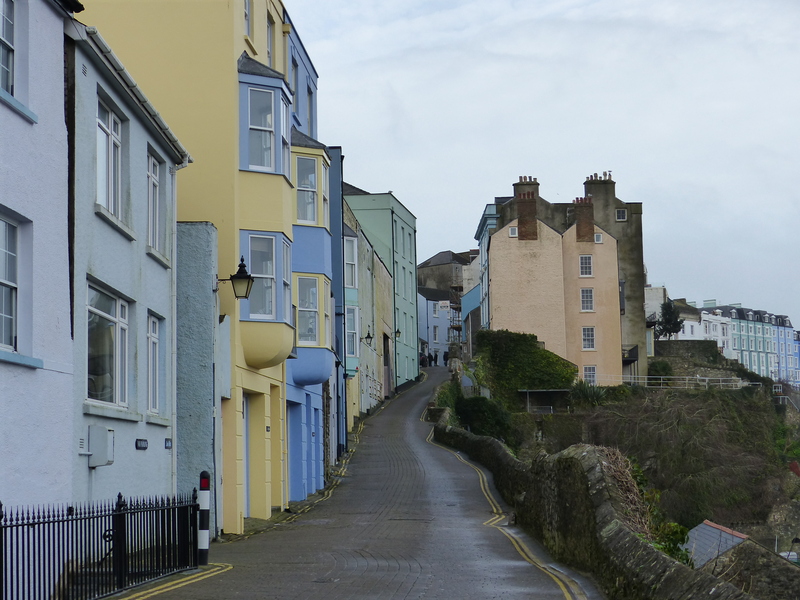 When we arrived in Tenby, we walked through the narrow, cobbled streets and found, tucked away up a side street, the Tudor Merchant’s House. This was manned by more friendly, jovial and extremely knowledgable National Trust volunteers, who welcomed us to the house and encouraged us to wander, explore, touch things, play with things and ask any questions that may pop into our heads. 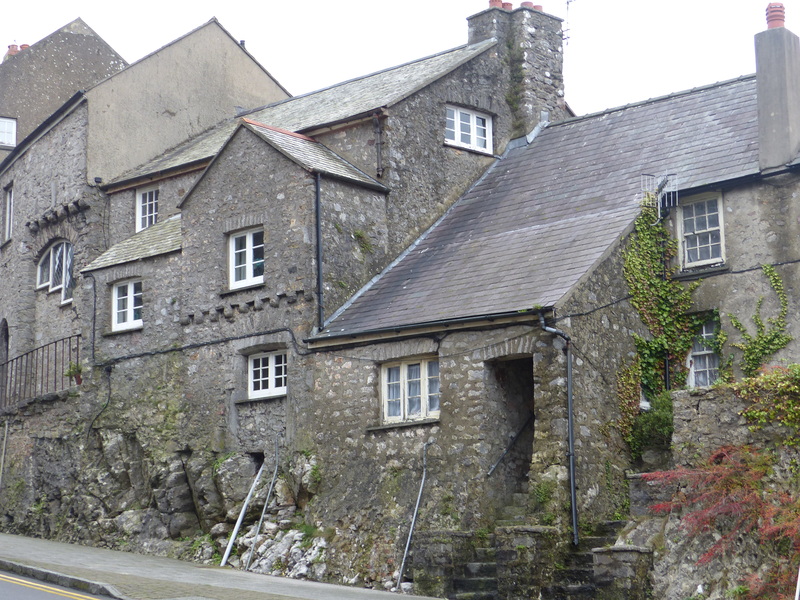 This property was owned by a merchant and his family and was a three storey house, looking down to the harbour. 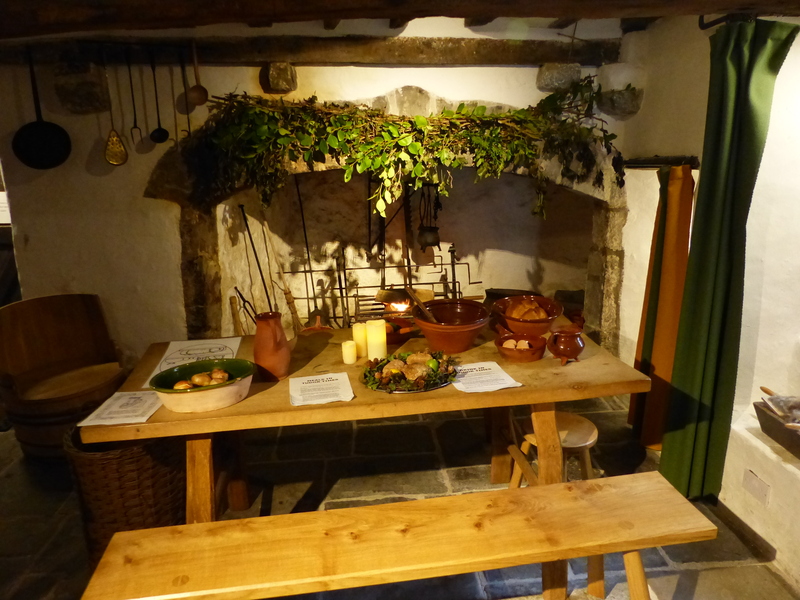 The Tudor period, as was explained to us, was really the rise of the middle class, with families such as this, making their money from trade and business and then setting about flashing it and showing it off as much as possible. It was all about appearances and connections and being seen to be well off. One of the lovely ladies who was giving us some information described it this way, “If the owner of a property such as this were alive today, he would be the fellow who was a member of Rotary, president of the golf club, a town councillor and owned a string of car show rooms. That’s how I like to think of them!” I thought it was a terrific explanation! We were also told that during the Tudor period, cleanliness was a big deal and the “black on white” needlework that was done during this period, which were simple designs in black thread on white linen, was partly to highlight this. This style of needlework was often done to embellish cuffs on sleeves and collars. We were told this was because people wanted to show off how white the linen was, indicating how clean they were and the black thread helped to make the white of the linen stand out. Interesting! There was an internal staircase linking the second and third floors, which was put in during Georgian times, but we could see the outline in the wall, of the original stairs that had been covered over. The top step was a different size and depth to the others. This was the “trip step”. A trip step was put in as the last step, because anyone who wasn’t familiar with the stairs, wouldn’t realise it was higher than the others and they would trip up on the top step. This would alert the family to any intruder that may be coming up the stairs. Clever! Apparently this was used in castle design too and the stone steps in a castle would be made at different angles and different sizes and depths, which would make it hard for any invading troops to run up them. Cleverer and cleverer! My other learning for the day, was the origin of the saying “upper crust”, as in people who are thought to be a bit posh, or well off are members of the “upper crust”. Well, when bread was baked during medieval times, the oven would become very black from the fire burning in the oven and as a result, the bottom of the loaves of bread would become blackened. When the bread was baked, it would be sliced horizontally, rather than vertically as it is now. The top piece, the ‘upper crust’ which was the best bit, would be given to the wealthy and the blackened bottom would be given to the poor. Hence, folks from the well-to-do classes becoming known as the “upper crust”. Fascinating! It was such an interesting visit and the volunteers were so passionate about their subject and gave us the stories in such a knowledgable and engaging way, it was brilliant. The Tudor house is actually the last remaining house of that period in Tenby, with all the others being knocked down and replaced by Georgian buildings. A shame, but this one is keeping on, thanks to the National Trust and super volunteers such as the ones we met today. We thanked them and left the house to have a look around Tenby. It was a nice little town, on the seafront, with high cliffs surrounding it. We strolled down to the beach, then around the streets. The wind had started to ease and when we were in a small shop, I heard a man speaking to the lady serving and he said, “It’s actually quite warm now.” Oh, how I love that optimistic and positive spirit! I wouldn’t have said it was warm, which is of course very relative! The wind had eased, the rain had stopped and in comparison to how it had been, it was definitely milder, but I don’t think it had yet tipped the gauge towards “warm”. Still, it was super that someone thought it so! 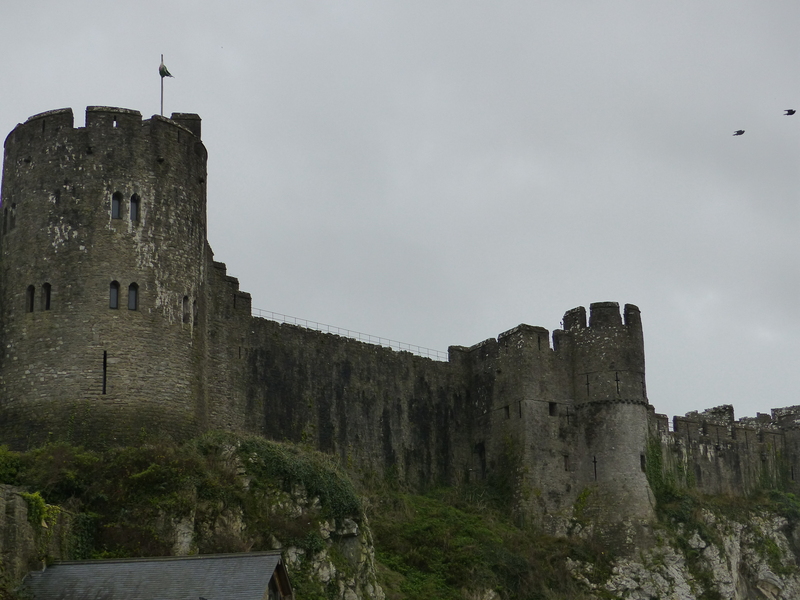 We departed Tenby and scooted over to Pembroke for a look. 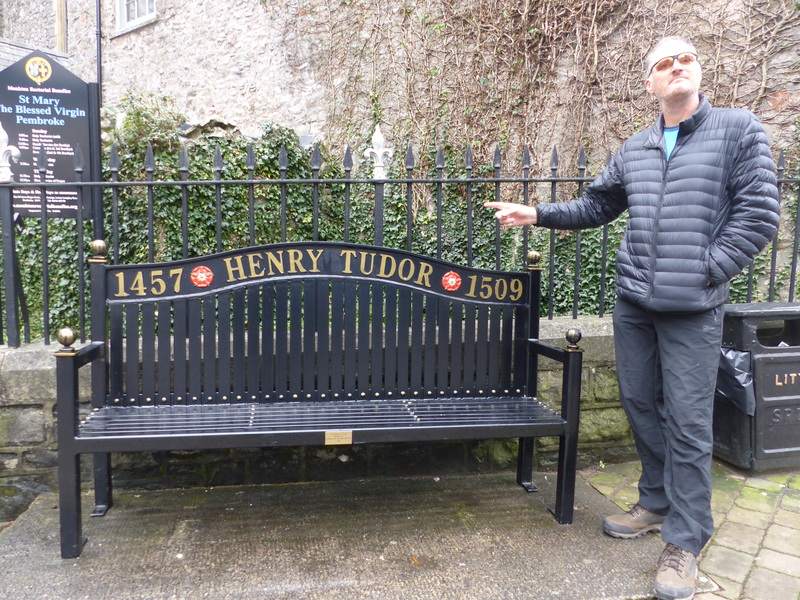 We saw the castle, which was the birthplace of the first Tudor monarch, with Henry VII being born there in 1547. We had a walk around the streets and then began to feel those tell tale drips on our faces, with the sky blackening again and the rain about to descend. As we walked back along the street, we saw a lady walking towards us carrying a large red balloon. As she approached us, she smiled and said, “‘course, yer afta carry it ‘ome then din’t yer!” We all laughed at this, because she must have felt a bit self conscious strolling along the street with her recent purchase. We passed the balloon shop a short distance up the street and yep, I guess if you buy one, you’re going to have to carry it out and pass people in the street at the same time! The lady had a good chuckle with us about it though! Steve found a “throne” regal enough for the likes oh him! With the rain coming down and the afternoon now well and truly upon us, we started to make our way back along the narrow lanes, to hopefully reach the cottage before dark fully arrived. We called into the supermarket on the way, picked up supplies and then returned to our cottage in the national park. 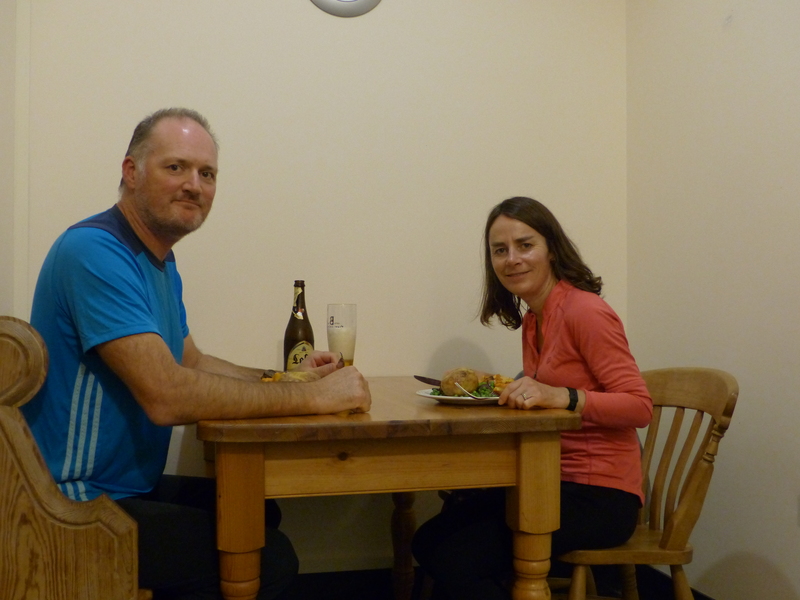 We decided to forego our traditional Sunday pub lunch and since we had a kitchen in the cottage, I cooked us up a roast instead. I plated up a pile of roast vegetables, a nut roast and smothered it all in gravy, with apple crumble and custard to follow. We didn’t need a pub! We can self-cater a top Sunday roast! It was a great day, filled with lovely people and great stories and some more learning of history. Fantastic. However, the day belonged to the Tesco lady. We have met some wonderful people in our travels, and many of them have been people we’ve met serving in shops and supermarkets. Today, it was Tesco supermarket who allowed us to meet a real diamond. As we put the groceries through the checkout, the lady serving greeted us with a “Do yer ‘ave a Club Card darlin’?” I said we didn’t and she continued putting the items through. Then she saw the bottle of beer Steve had bought. “Oo’s buyin’ the alcohol?” she asked. The lady smiled a big smile, reached out and shook my hand! All together now…1…2…3…I LOVE IT!!! Best comment Heidi – you are obviously getting younger and younger the more you enjoy your travels (must be the fresh air and ….. rain!!!) (sorry Steve ….but maybe she thought you were just legal in a being able to buy alcohol hahahaha). Ha ha, I don’t know about getting younger, maybe I’m just shrinking more with age! With all the rain though, I should darn well be growing! !